The Capitol Chats is an initiative established at GWU by Chryssa Kouveliotou in 2015. The Capitol Chats are a series of annual meetings, with 15 to 20 astrophysicists getting together for up to three days, to discuss specific and focused questions on an astrophysical subject matter, and brainstorm on the possible answers. These meetings are geared towards open discussion rather than the usual presentations/questions format. Nonetheless, participants are encouraged to come to the meeting prepared with a few slides that they think would illustrate their argument best. Participation to these meetings is by invitation only. The first Capitol Chats meeting was focused on gamma-ray bursts and the radiation mechanisms responsible for the gamma-ray emission. 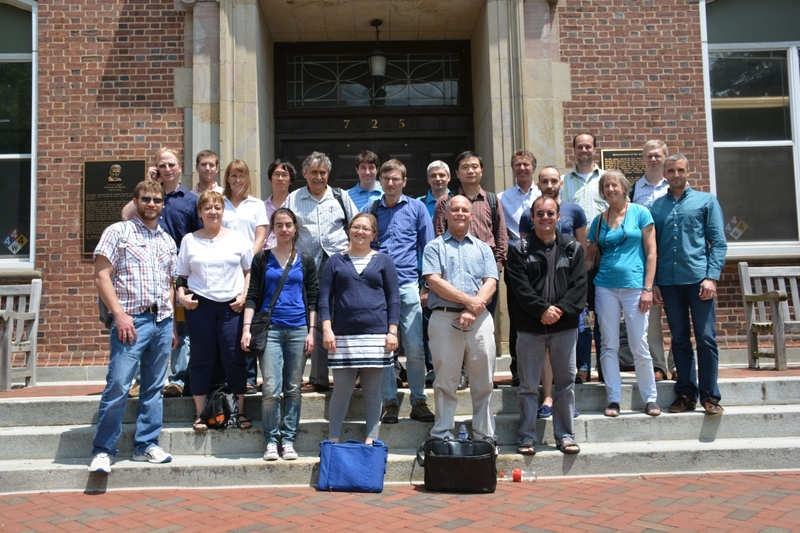 This meeting brought together 20 experts on gamma-ray burst observations and theory, from GWU, the greater DC area, and other universities and national labs in and outside of the US. The four main themes of the meeting were the nature of the central engine, launching and acceleration of the jet, emission mechanisms, and new theoretical and observational directions. There were many long discussions on the status, progress, and future directions of this field of research. At the end of the meeting, small working groups were established to push forward the research in some of these areas, i.e. particle acceleration simulations, model-data comparisons, photospheric emission, evolution of the jet inside the star, and magnetars versus black holes as central engines. The great atmosphere during these three days helped in getting the most out of the sometimes passionate but always constructive discussions. 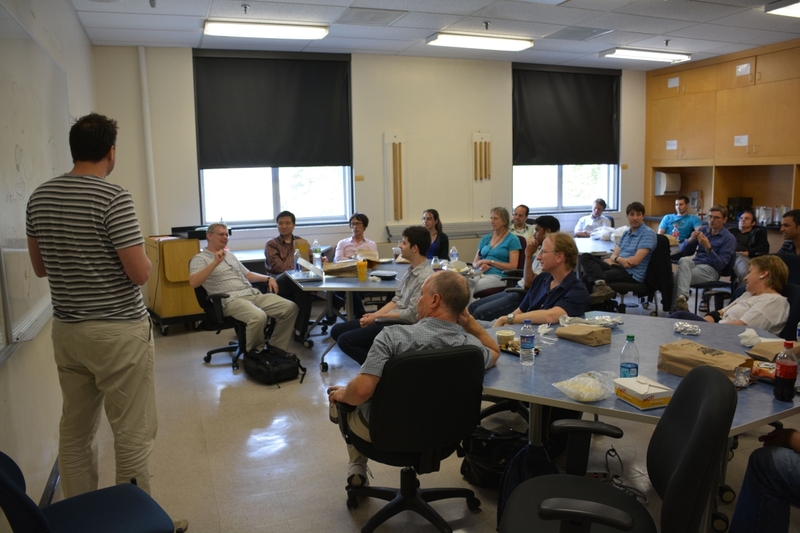 Finally, as part of the meeting, the participants had lunch on one of the days with the GWU astrophysics group, in particular for the students and postdocs to present their research and discuss their ideas with some of the world experts in their research fields. The second Capitol Chats meeting was focused around the question "Magnetars, what are they?". While, superficially, we can define the observational properties of the 30 magnetars known to date, not much is known about how they were born, how they evolve, and how that leads to the different characteristics that we see within their population. We specifically would like to answer questions like: what are the progenitors of magnetars, and what is their connection to gamma-ray bursts and superluminous supernovae? How do newly born magnetars evolve to the isolated, highly magnetized neutron stars we observe today? What is the place of magnetars within the neutron star zoo? What are the multi-wavelength emission mechanisms in magnetars? Can we expect gravitational waves from magnetars? Is there a connection between magnetars and fast radio bursts? The meeting brought together observers and theorists to brainstorm about the answers to these questions. There were many very constructive discussions, in some cases leading to new or renewed collaborations to answer some of the outstanding questions.